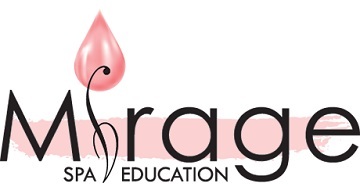 WHY CHOOSE MIRAGE SPA EDUCATION ONLINE OVER ANY OTHER PROGRAM? Your CONFIDENCE is important to us! Our special TRAINING HAND provides a pressure-free learning experience that has been proven to build confidence as you learn. No need to worry about cutting a client or taking too long. When you are ready, our MODULE 6 is done on live models. As well, we encourage you to work on live models when you have the opportunity and when you are ready.